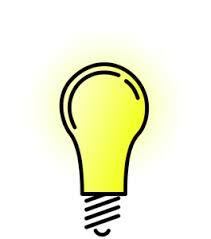 There are many types and styles of light bulbs on the market today. Some focus on style and design, others just to provide light. Below are a couple bulbs to consider. Rechargeable Bulbs: these bulbs look and function like regular light bulbs. The difference is when electric power is interpreted; the bulb will come on and run on the battery. Motion Detector Bulbs: these bulbs look and function like regular light bulbs, the difference is they will go off if no motion detected (approximately 10 minutes). Application: Closet, workshop or basement. Walk in bulb turns on. Walk out of room, in 10 minutes the bulb will go off.